In naming ABB to the top 10 in its fourth annual ranking, Fortune placed the company among a prestigious group. Other honorees included the drug maker Merck, for use of its life-saving vaccine against the Ebola virus this year in the Democratic Republic of the Congo. Fortune also lauded Reliance Jio, a telecommunications provider for providing the “digital oxygen” of smartphones and broadband to more than 200 million subscribers in India in less than two years. ABB’s CEO, Ulrich Spiesshofer said the Fortune ranking was validation of the company’s leadership and commitment to e-mobility as a way to decouple global economic growth from climate change. “ABB is committed to running the world without consuming the earth,’’ Spiesshofer said. ABB, whose e-mobility portfolio includes charging and power solutions for trains, buses and ships, has developed fast-chargers for cars that can add as much as 200 kilometers (nearly 125 miles) of cruising range in as little as 8 minutes. 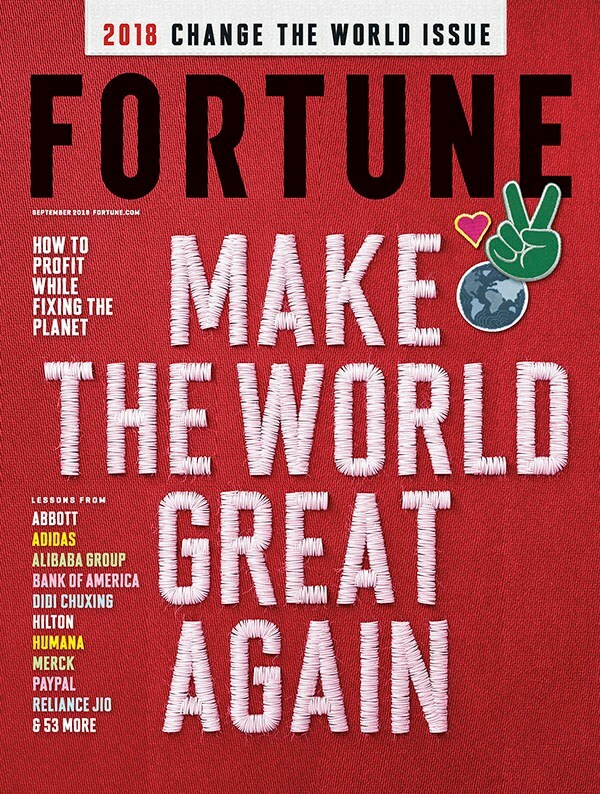 Fortune’s criteria for its “Change the World” rankings include the degree of innovation in a company’s technologies and the benefits to profitability and shareholder value from its positive social impact. In the second quarter, ABB reported more than 30 percent year-over-year growth in net income, to $681 million, as revenue grew to $8.889 billion.